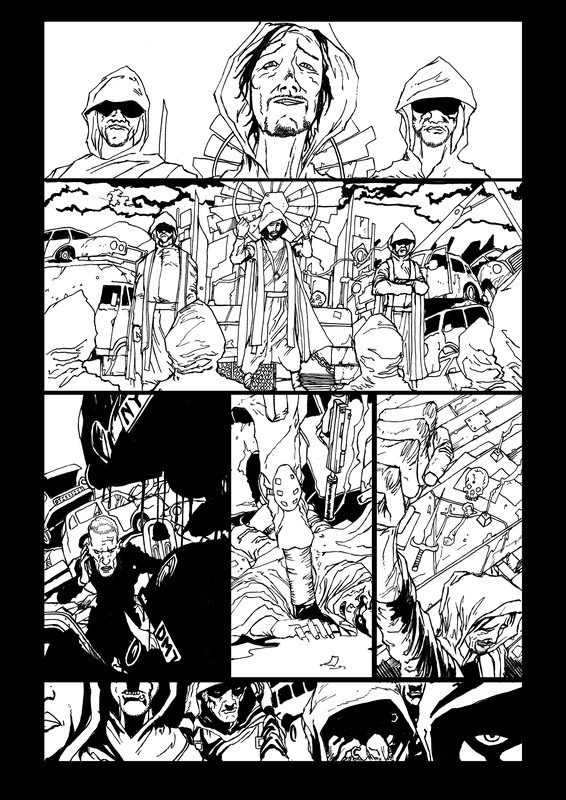 So what better way to start off the new year and new projects here at Unseen Shadows than some lovely inks. In this case the inks come from the pen of artist Steve Penfold and his work on the first page on our first full length graphic novel Unseen Shadows:’Blood Cries Out’. Written by Cy Dethan with colours by Gat Melvin and letters by Nic Wilkinson this is one hell of a ride and shows us a different side to vigilante Jonathan Bishop aka The Reverend as he meets his match in this tale of faith, cults, secret societies and the supernatural. Keep an eye on the Unseen Shadows site for more updates on this an the other projects we have coming.